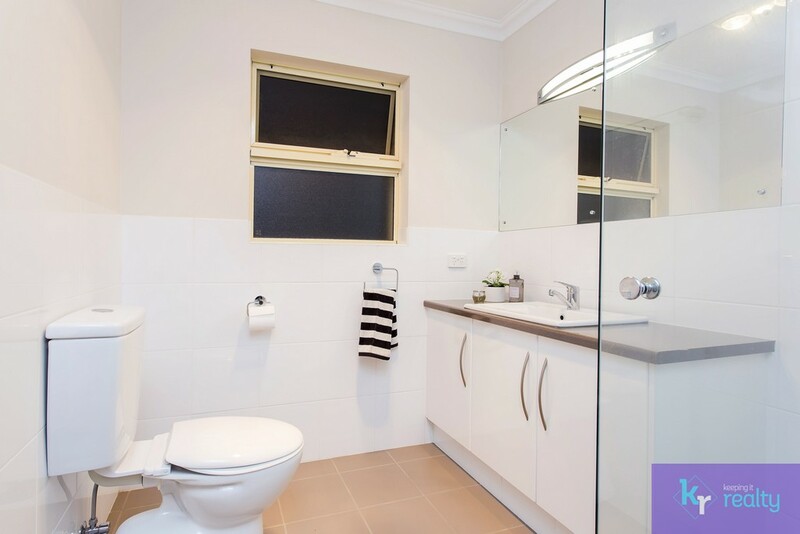 Michael and Christine Holowiecki of Keeping It Realty are proud to present this spacious and well-maintained two-storey home with three bedrooms and two bathrooms, conveniently located close to an abundance of amenities including schools, shops and cafés. 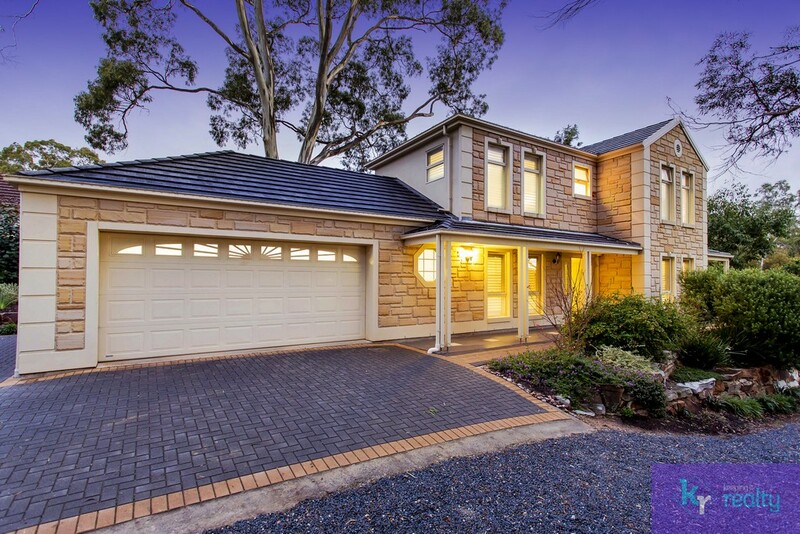 With a generously sized secure lock-up garage that easily fits two cars side-by-side, there’s no need to worry about not having room for a third vehicle thanks to an extra car space in the driveway situated right next to the garage. 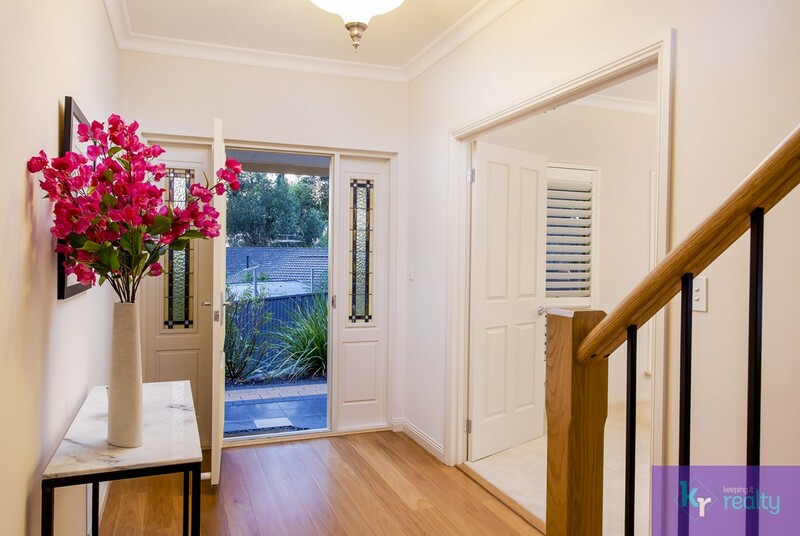 As you make your way to the front door, you’ll instantly feel at home as you take in the beauty of the landscaped garden with its lush and mature flora providing a stunning frontage. 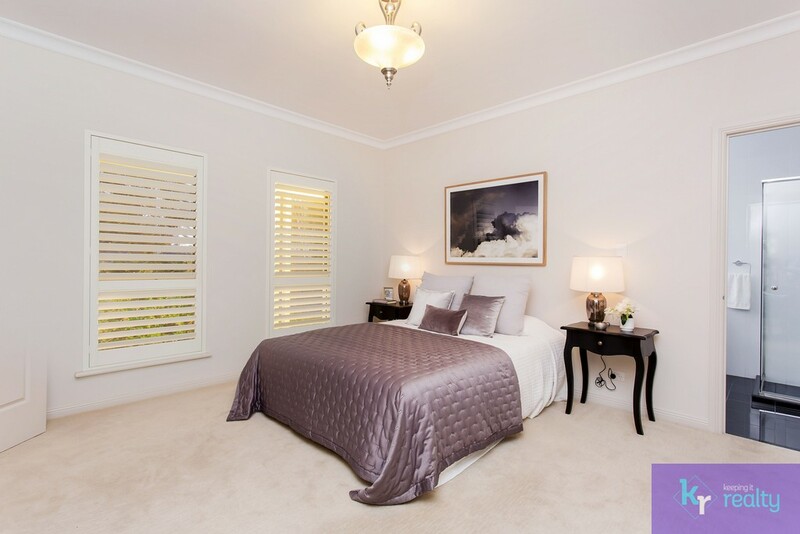 Once you step inside this home, you’re met with a stunning, light-coloured hall featuring a staircase to take you to the upper level, but before making your way to the top, the abundance of a large master bedroom to your left will have you grinning from ear to ear with its spacious walk-in wardrobe and enormous ensuite featuring his and hers vanity sinks, large shower and bathtub. 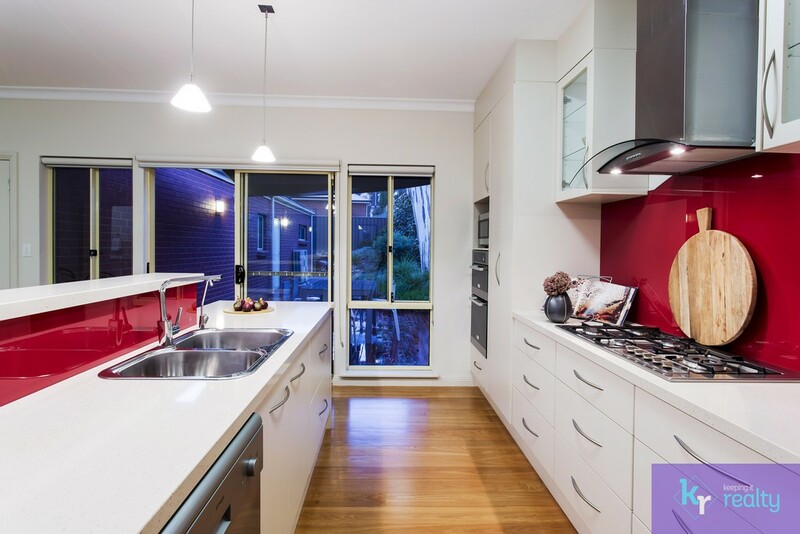 From the hallway, walk around the corner and be greeted by a neutral-toned open plan dining space where you can watch the family chef cook up the most appetising meals in the impressive kitchen thanks to two pantries, Omega stainless steel appliances, double sink and Puratap! 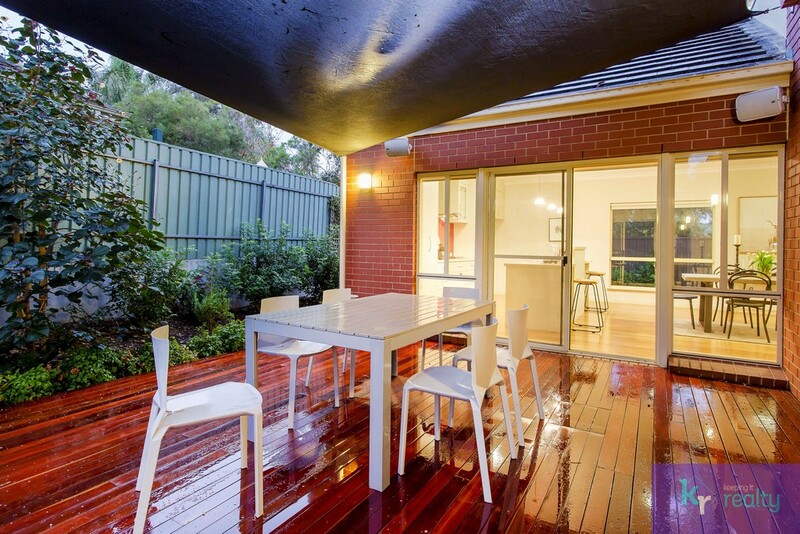 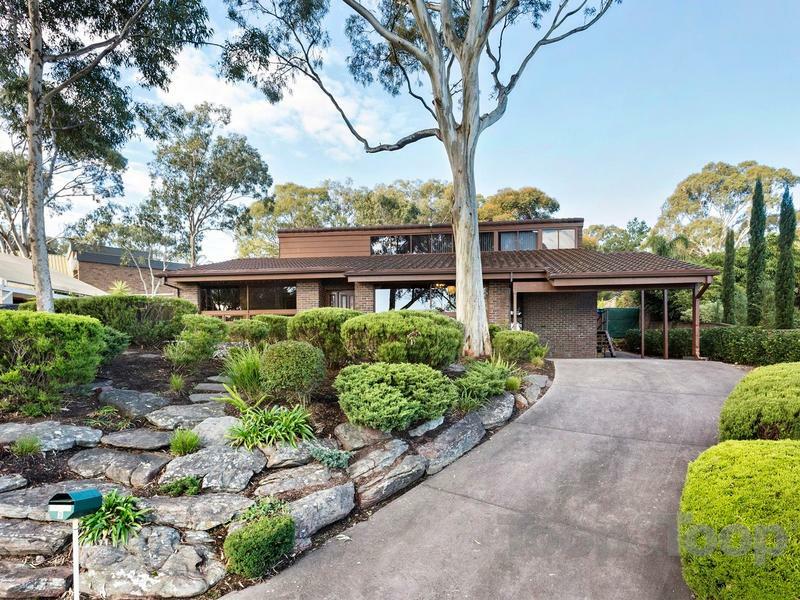 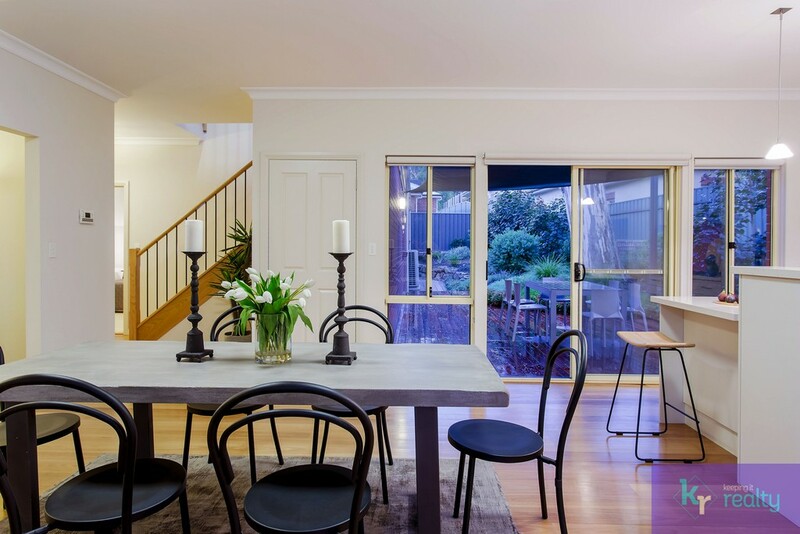 And if you thought it couldn’t get any better, the kitchen opens to an amazing timber deck where you can entertain under the shade of a stunning, mature tree and amongst the elegance of the manicured backyard. 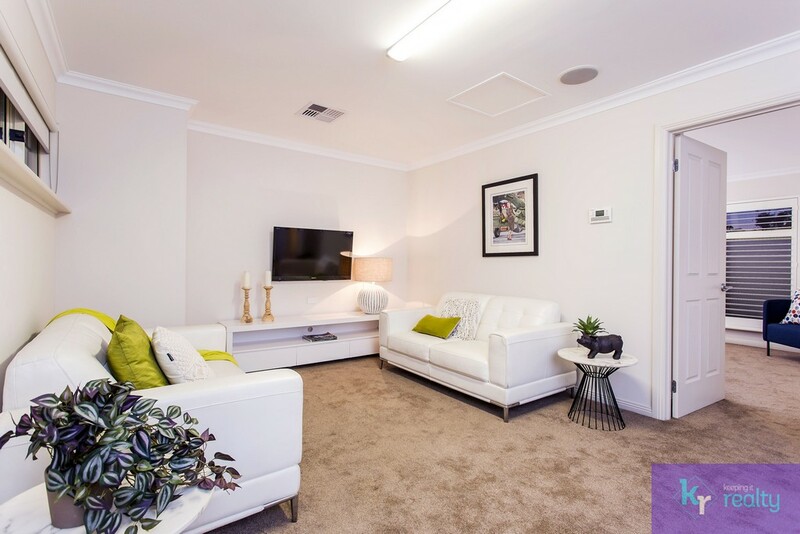 The main lounge, situated just off the dining room, features plenty of natural light and is the perfect place to relax after a hard day of work with a mounted TV to wind you down. 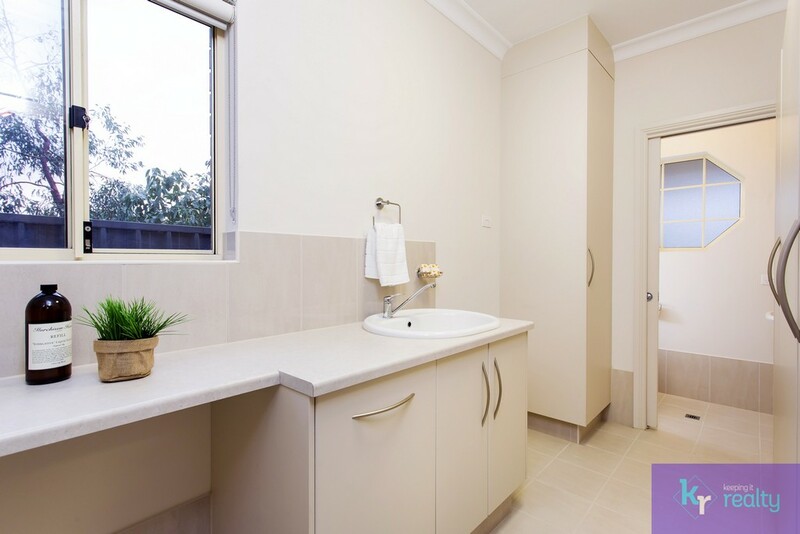 Close by is a powder room and an immaculate laundry with abundant storage space including a linen closet, folding station, and cupboards. 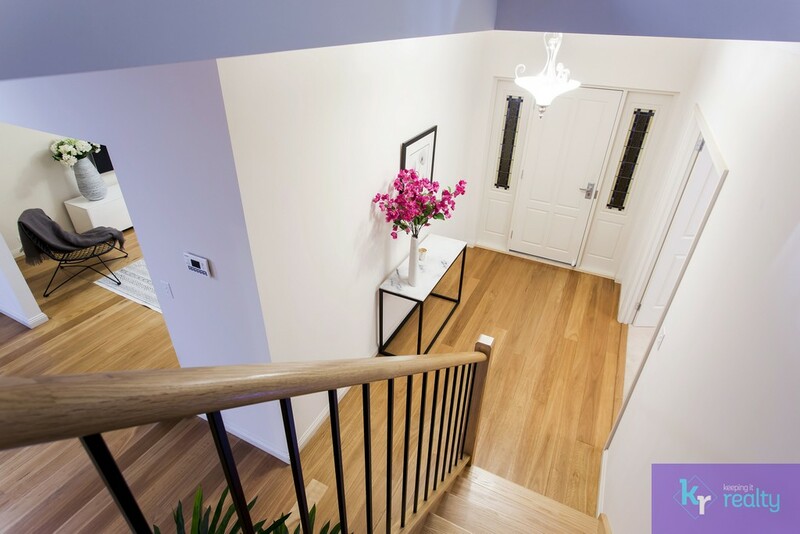 Before you head up the stairs, have a look at the amazing, top-of-the-range sound system that sits under the staircase and services the entire home to let you groove to music where ever you are in the house! 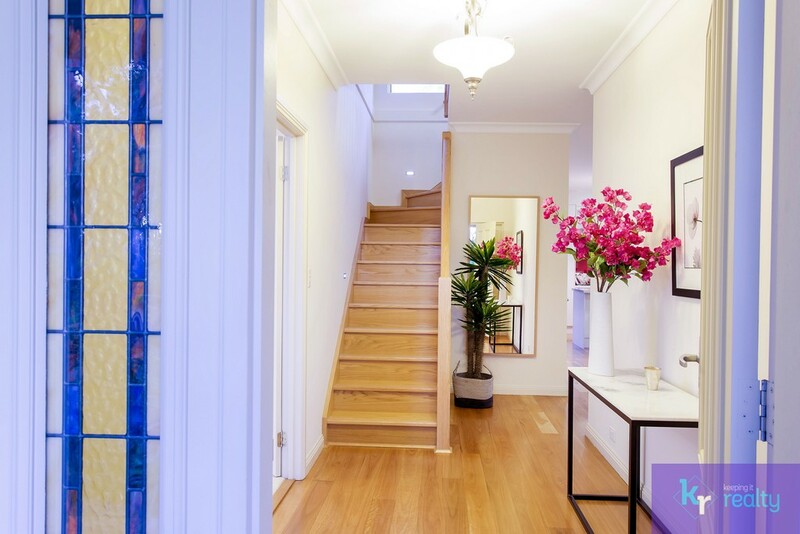 And after you’ve turned on your favourite tunes, the top of the stairs feature a second living space, modern bathroom with quality fixtures, and two bedrooms, both fitted with mirrored sliding door built-in wardrobes and elegant plantation shutters that add style and versatile sunlight control. 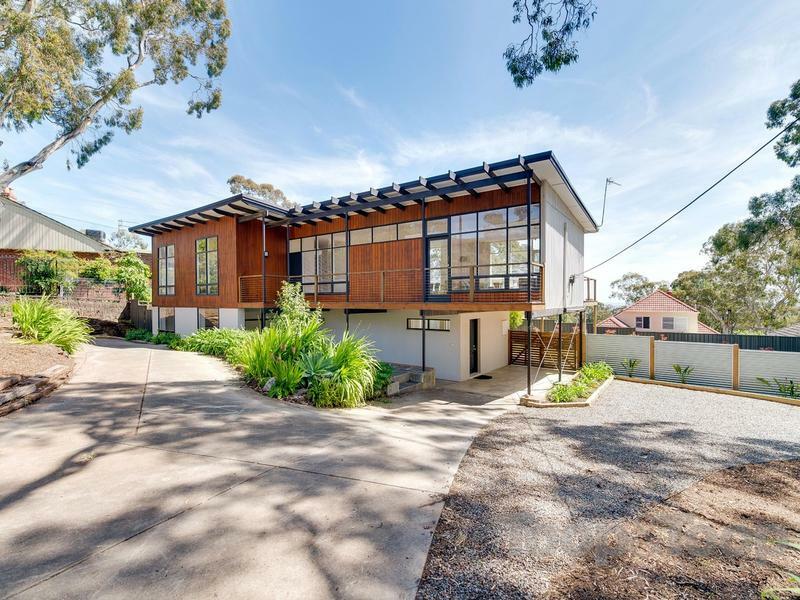 This marvellous home is comfortable for the family all year round with its ducted reverse cycle heating and cooling throughout, and to add even more convenience, both the front and back gardens are serviced by a watering system while a rainwater tank will save you on water bills in the long term! 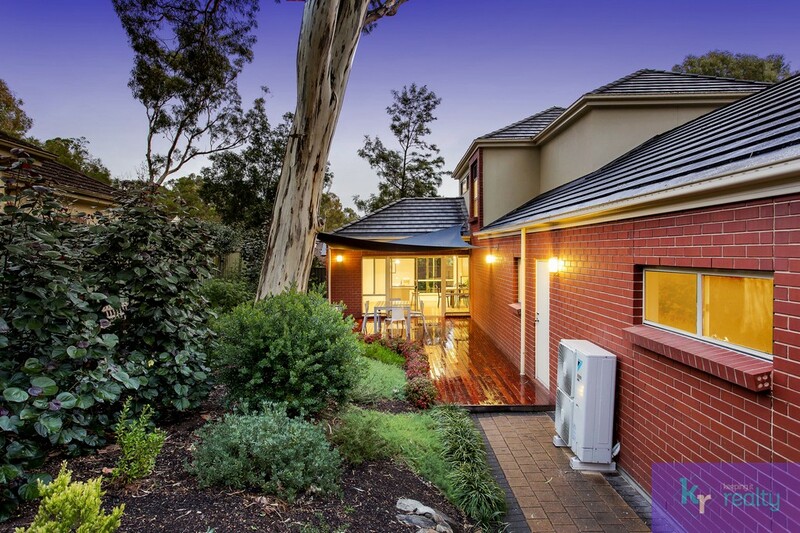 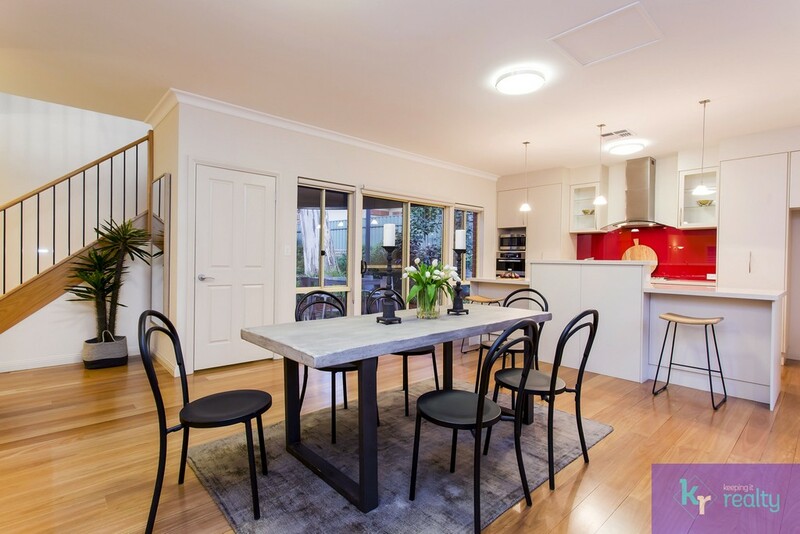 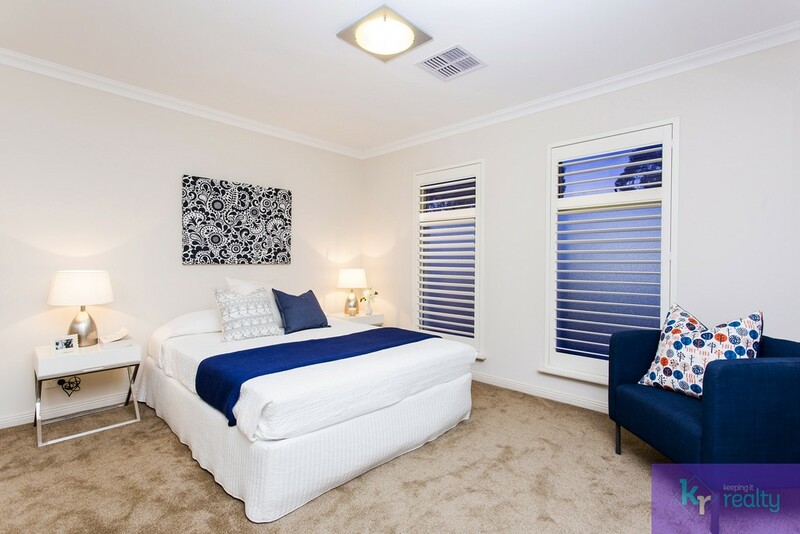 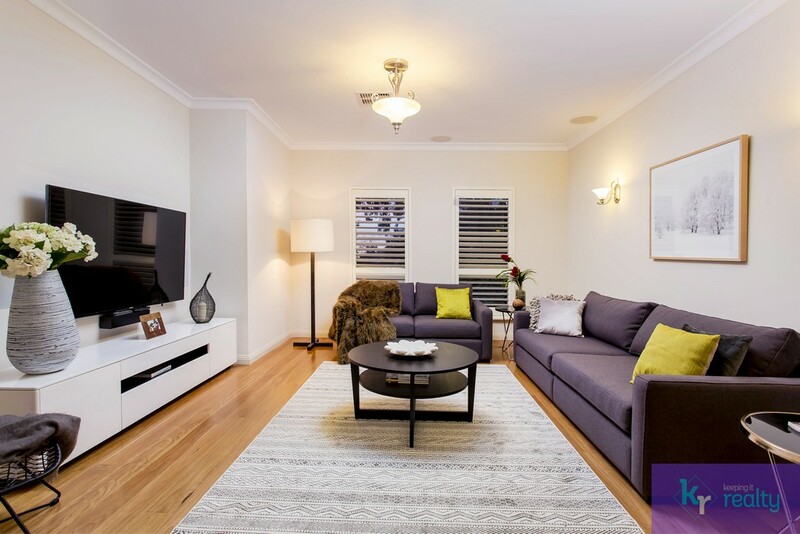 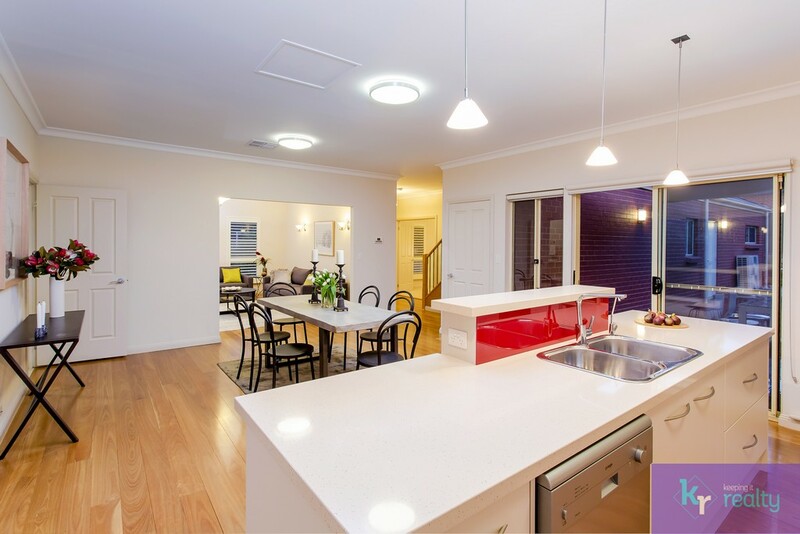 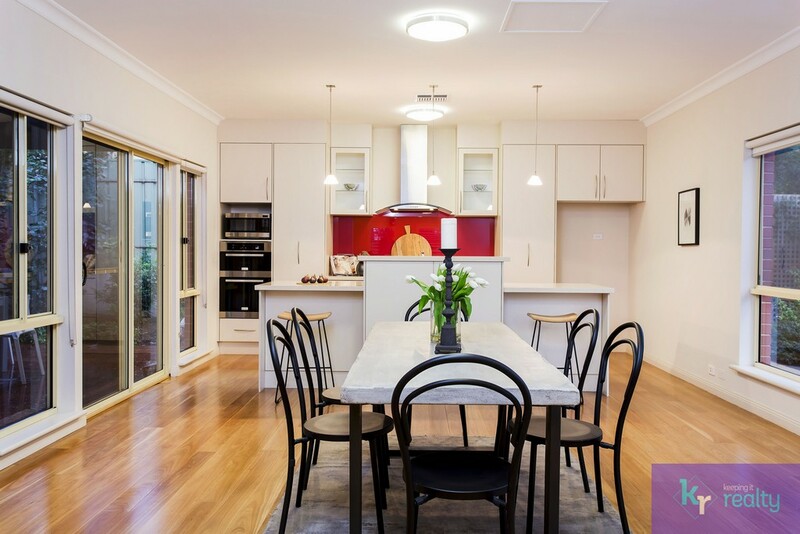 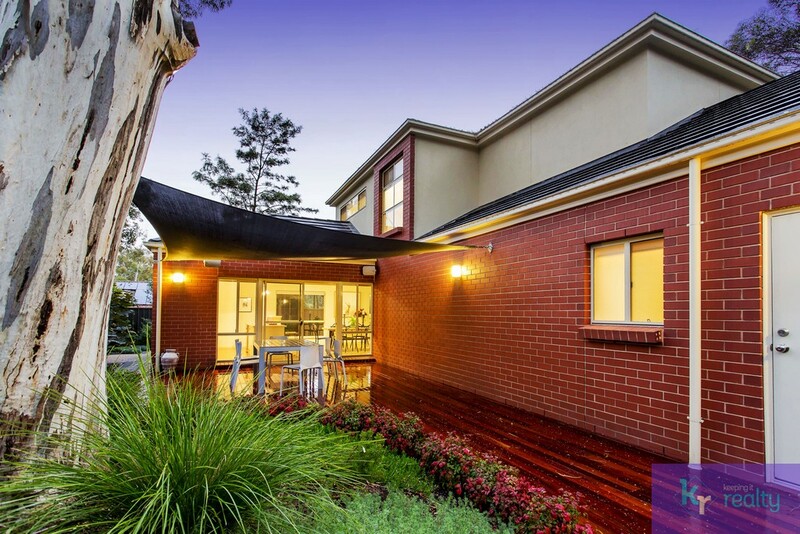 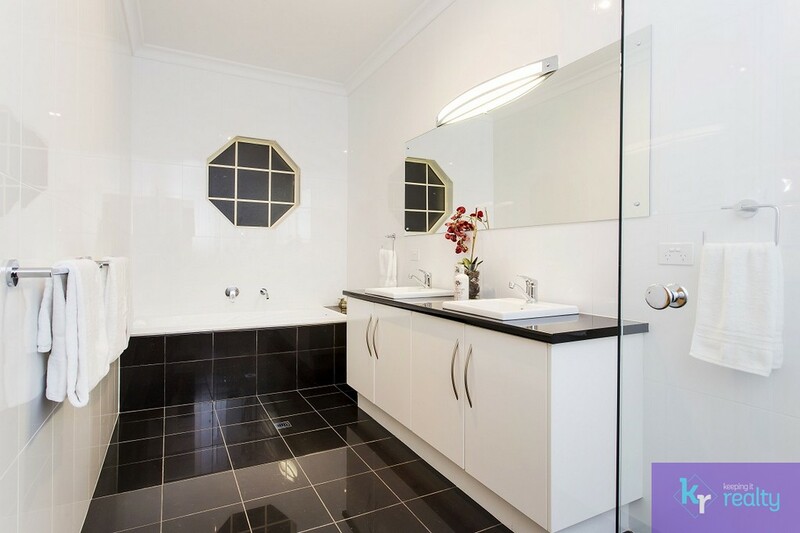 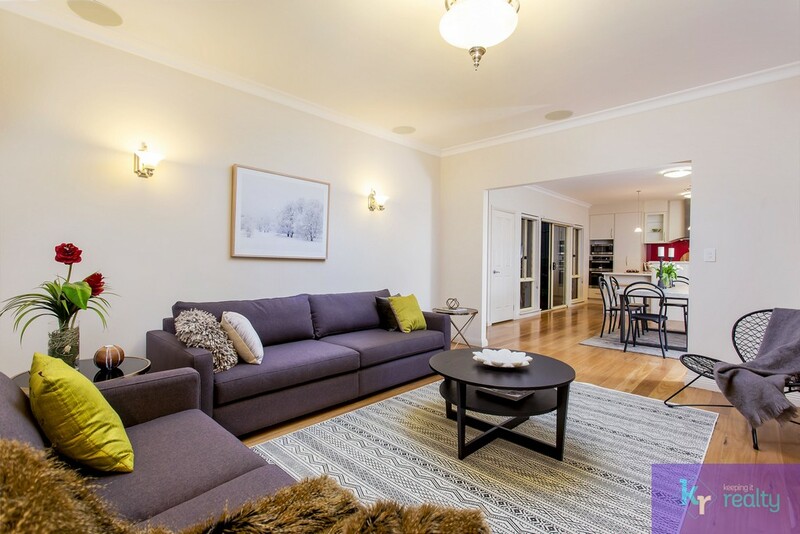 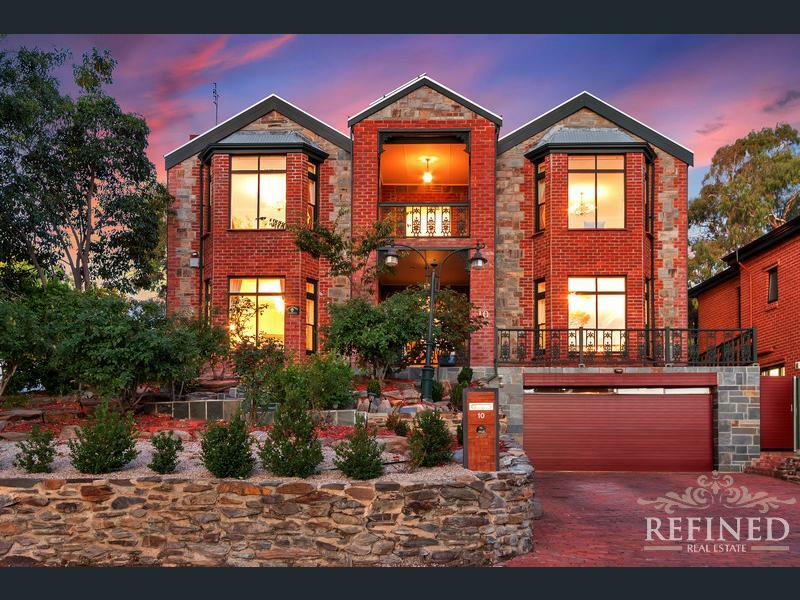 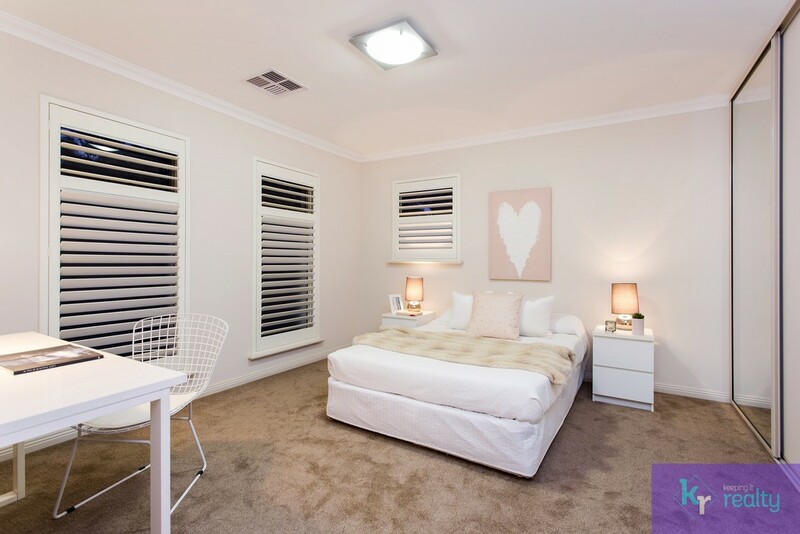 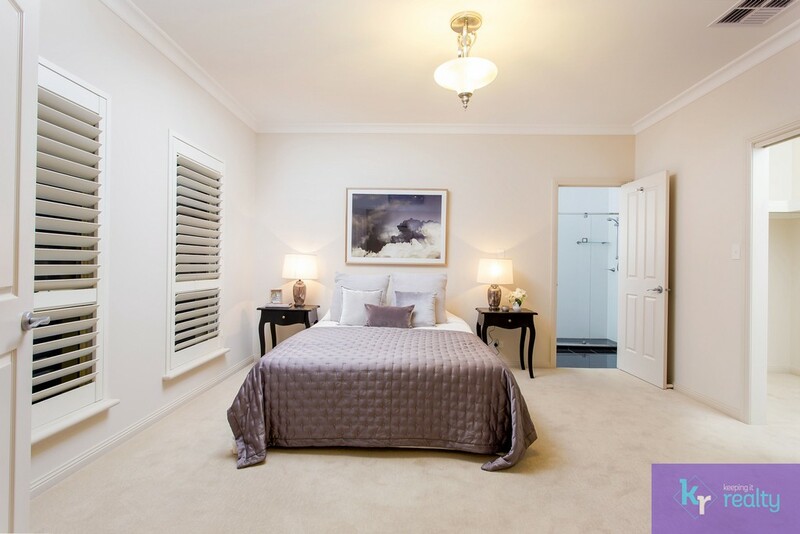 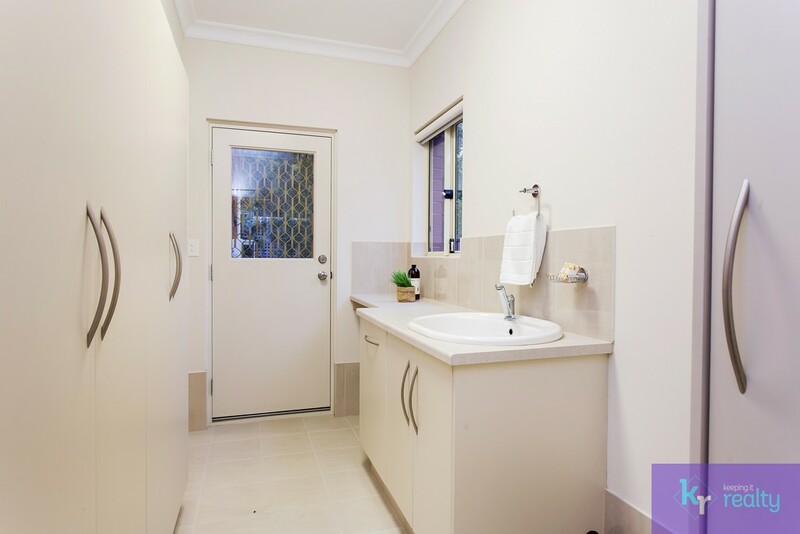 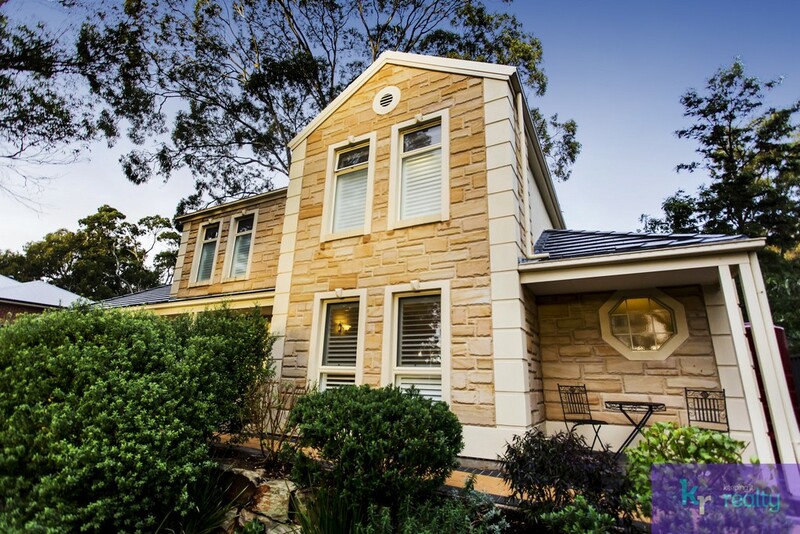 The location of this two-storey, three-bedroom home means your family is close to prestigious schools including St Peter’s Girls, Loreto College, Pembroke, Marryatville High School, Norwood Morialta and Burnside Primary School. 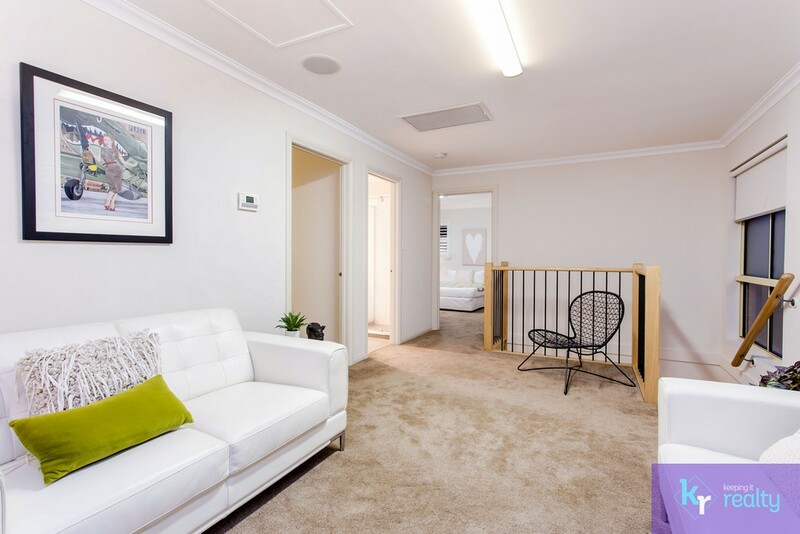 You’ll also never be far from the shops, with your new home being just a short drive from the Burnside Village Shopping Centre and an envious amount of boutique coffee shops and cafés nearby.